Human capital is the only active capital in any organisation. Without human capital, financial capital and physical capital cannot create value on their own. Without capable people an organisation’s strategy cannot be implemented to accomplish its goals no matter how good its strategy is. Human resources and human resource capabilities are a key part of intangible values which have over the last four decades caught up in terms of proportion with tangible values of an organisation’s market value. HR is the largest operating expense in an organisation. It is also regarded as an investment. Therefore, it is imperative that the human resource management role and function is understood and embraced all whose responsibilities include people management to optimise this valuable capital. This one-day workshop will give all non- HR people in the organisation on overview of the HR functions and their relevance to organisational quality and effectiveness. • To appreciate the importance of Human Resource Management in an organisation's business strategy. • To show that effective Human Resource Management can improve business performance. • To understand the fact that Human Resource Management is also the responsibility of all managers, supervisors and anyone with people-management responsibility. • To educate Non-HR people the many functions of Human Resource Management and their applications. • To let participants practice some skills learned. • All HR Line Managers, Supervisors, Officers, Executives, Assistants. • Anyone who need to gain better understanding of HR practices and procedures to fulfill their HR role within the organization. Elsie graduated with a Bachelor Degree in Human Resource and a MBA in Finance. 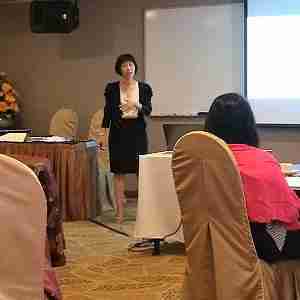 She is currently one of the trainers for HRSINGAPORE’s HR Certification Courses. • Skills Connect WDA Reference CRS-N-0000643. 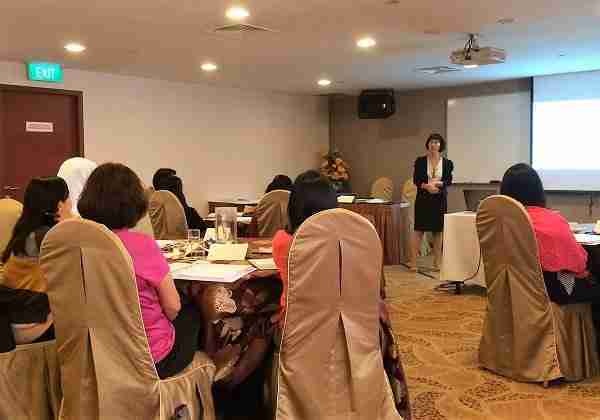 • "After this training, I will contribute ideas to improve on our HR roles!" • AIMS AMP Capital Industrial REIT Management, Alpine Engineering Services, ANSAC, Autovox, Aegis Building & Engineering Pte Ltd, Antics Holdings Pte Ltd, Applied Satellite Technology Asia Pte Ltd.
• BOC Aviation, Borouge, BW Offshore Singapore, Bystronic Asia, Bishan-Toa Payoh Town Council. • Capital Dynamics, CapitaLand, CEVA Asia Pacific Holdings Company, Chemical Specialties (S), City Wash, Casino Regulatory Authority, Collars Consultancy. • DHL Supply Chain, Digi Wireless Singapore, DNR Process Solutions, DTG International Gmbh, Dentalthon Medtech, Deif Asia Pacific. • EA Consulting Group, EDZ Interior Contracts, Eisai Asia Regional Services, EUT Fashion (S), Everett Charles Technologies, Eastport Chartering. • GL Noble Denton, Global Maritime Consultancy. • H.I.S. International Travel, Heeton Management, Hellmann Worldwide Logistics, Hobee Print, Huhtamaki Singapore, Hurco (S E Asia), Heliconia Capital Management. • Institute of Bioengineering and Nanotechnology, Infolog Pte Ltd.
• JA Scaffolding & Engineering Enterprise, Jobscentral. • Keong Hong Construction, Kim Yuen Electrical Engineering Pte Ltd.
• Lam Learning Hub, Lemo Asia, Leo Burnett (S). • Majlis Ugama Islam Singapura, Ministry of Culture, Community and Youth, Ministry of Law, Mitsui & Co. (Asia Pacific). • National Healthcare Group, National Library Board, Nestle Singapore, Ngee Ann Polytechnic, Nichiyu Asia, Norgas Carriers, NRS Tunneling & Construction Supplies, NVT Technology, National Institute of Education. • PricewaterhouseCoopers, POLWEL Co-operative Society, PropNex Property Management Consultants. • Sabic Asia Pacific, Saipem Singapore, Seagull Marine, Self Leadership International, Singapore Medical Council, Stamford American International School, SciGen, SCSK Asia Pacific, SL Global, Steward Cross Pte Ltd.
• Tai Chong Cheang Steamship Co (Singapore), TGH AP, The Law Society of Singapore, The National Art Gallery, Tong Teik, Tourism Management Institute of Singapore, Tokyo Century Leasing (Singapore) Pte Ltd.
• Watkins Syndicate Singapore, WIKA Instrumentation Pte Ltd.
• Yamaha Motor Asia, Yayasan MENDAKI.